Rhonda J. Ferrero-Patten is a litigator who focuses her practice on tort defense and insurance coverage litigation, including automobile and premises liability, professional liability, medical malpractice, and construction accidents. She has represented hospitals and individual medical professionals in litigation, as well as insurance companies in coverage disputes and other professionals such as architects, engineers, and accountants. 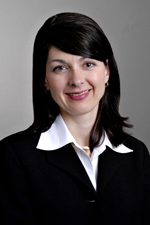 Ms. Ferrero-Patten joined Hinshaw & Culbertson LLP in January 2003. Prior to joining the firm, she practiced with the law firms of Livingston, Barger, Brandt & Schroeder and Robert T. Varney & Associates, both of Bloomington, Illinois. As an element of her training for professional negligence suits involving medical practice, Ms. Ferrero-Patten received an associate degree in nursing in 1985 and is a licensed Professional Nurse in Illinois. She teaches a Legal Issues in Nursing Class for the Saint Francis Medical Center College of Nursing Post Master’s Doctor of Nursing Practice (DNP) Program. Medical records and Documentation for Nurses. Ms. Ferrero-Patten is the author of, "Collective Bargaining Units in the Health Care Industry," The Northern Law Review Bulletin.